Nicole Richie has the best style these days. It never feels forced or try-hard. 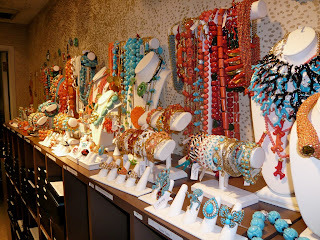 She is a free-spirited California bohemian and her accessories line, House of Harlow, reflects it perfectly. From beautiful glam-rock gold rings and chain bracelets to delicate antique-looking earrings to long boho necklaces and tribal inspired earrings, we are truly loving this collection. 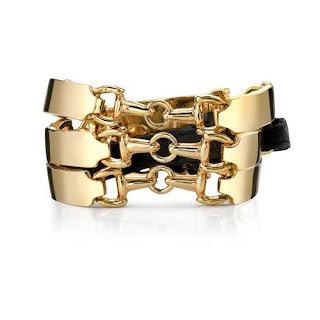 We love the combination of these stackable gold rings and the leather bracelet. It's edgy and cool but also really soft and pretty at the same time. There are a lot of beautiful antique-y pieces (we can't blog them all!) 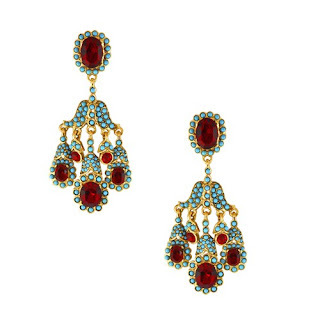 but these half-flower earrings are especially stunning. 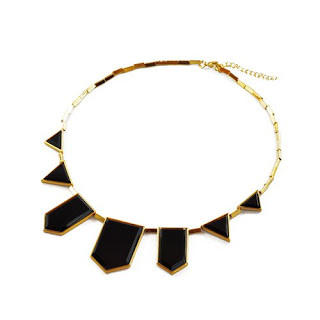 Nicole herself has been spotted wearing this black resin necklace over and over again. It's the standout piece in the collection. 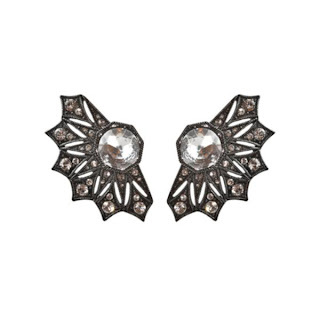 If you like it, make sure you also check out the matching earrings! 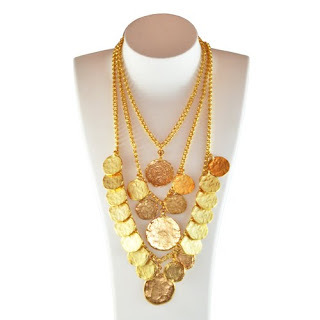 Coin necklaces are quintessentially bohemian. 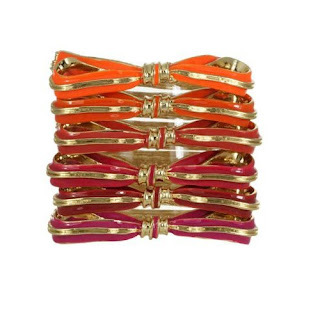 When combined with tassels and made extra-long, they become truly heavenly. We love how it goes with anything: a simple t-shirt, a maxi dress or a little cocktail dress. 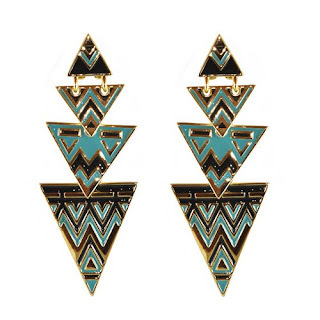 And finally, Nicole has a lot of great tribal-inspired statement pieces. She is a California girl, after all! Want to check out the rest of House of Harlow? We have a lot! Head to Sophie's Closet. We were featured again in Harper's Bazaar in both January and February issues. And in such great company too, with Nicole Kidman and model Lily Donaldson! 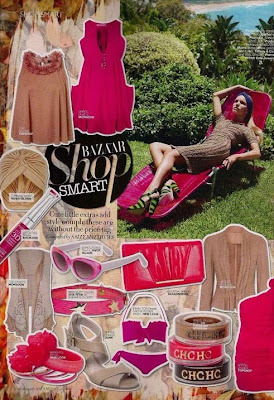 Colour shopping editorials are always so much fun! For the February issue, Harper's Bazaar focused on bright fuchsias, summer-y corals, sunshine-y yellows, and romantic violets. 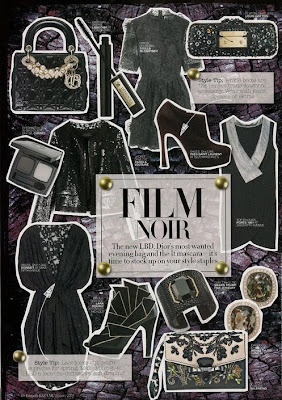 Pieces featured were the cute pink Vita Fede leather bracelet, the always adorable Rachel Leigh 'Gumball' ring and 'Audrey' bow bracelet, glamorous Jacques Fath black and crystal earrings, and stunningly beautiful Bounkit teardrop earrings. 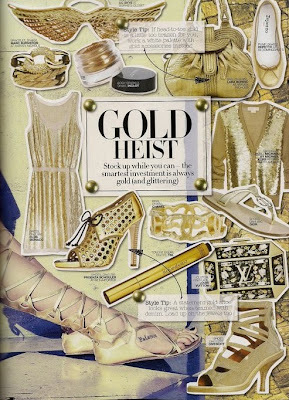 The January issue was all about glamorous golds and blacks, a sort of a femme fatale look. They highlighted seductive pieces like the black leather and chain Vita Fede bracelet, glamorous black stone and crystal Kenneth Jay Lane earrings and the super cool gold CC Skye wing ring. 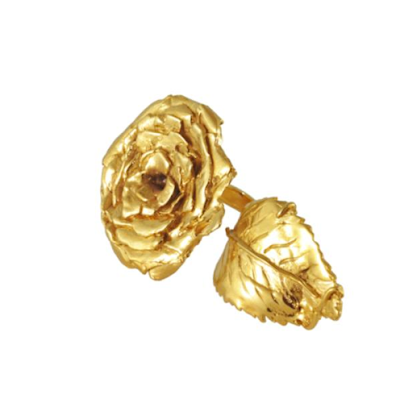 We fell in love with LeiVanKash immediately upon seeing the gorgeous Olivia Palermo wearing a beautiful gold rose ring from the label. LeiVanKash is brainchild of Leila Kashanipour, a recent graduate from the famous Central Saint Martins School of Art and Design in London. Even before graduating, Leila began making her mark in the world of jewellery. 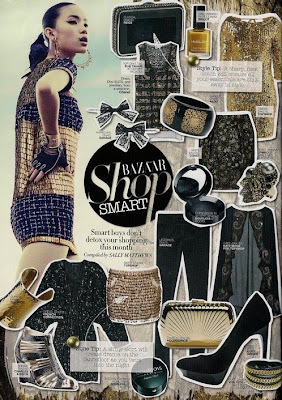 Her pieces have already landed on the pages of ELLE, Tatler and Grazia, and will soon be arriving at Sophie's Closet. We recently caught up with Leila to discuss her inspirations, her personal style and future aspirations. You went to Central Saint Martins School of Art and Design. Why did you decide to study jewellery? Well I was very much interested in Fine Arts, specifically painting, when I applied to CSM for my foundation year. I thought that painting was what I wanted to pursue until I took a jewellery course. That's when I fell in love with the making process, the attention given to detail and giving an identity to each piece. So I applied for jewellery design for my BA and the rest is history! What inspires your designs? Are you influenced by the art and design of your native Iran? I get inspiration from everywhere! The way I feel, the gemstones I use, colors, nature, fine art and etc. For example vanitas paintings and memento mori were the initial inspiration for my 'Skullmania' collection. 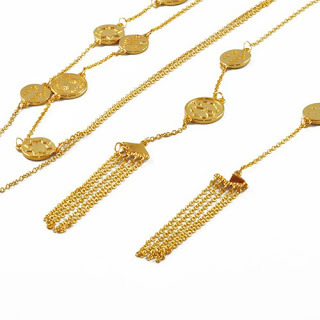 And of course, a lot of my pieces such as the 'Persepolis' collection is inspired by my Iranian background and culture. I tend to give my pieces an antique finish as if they were from the days of the Persian Empire. Do you have certain designers that you admire? 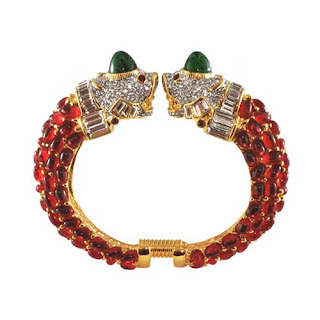 I love the fine jewellery at Dior. There is so much creativity going on there -- it's breathtaking. I am also a huge fan of the Wendy Yue at Annoushka! Hm, hard one! I think I am what happens when London, New York, LA and Paris come together! As one of my good friends puts it "you are a hippie at heart, and your style is a mix between edgy boho chic and total rock chick." 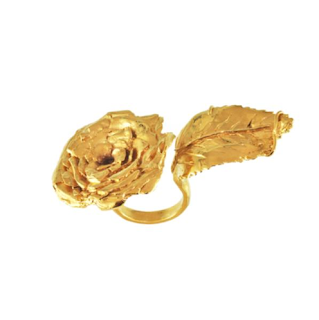 The first piece I ever hand carved and my long-time favorite is the 'Olivia Rose' ring. 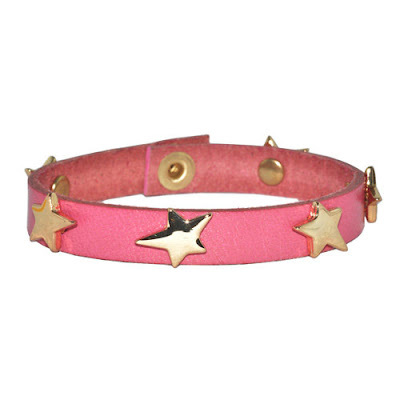 It's very boho cool and it never goes unseen or without a compliment! My skull bracelet never comes off and has kinda become an extra organ. But each piece is special in its own way and they have all received a token of my love at one point. 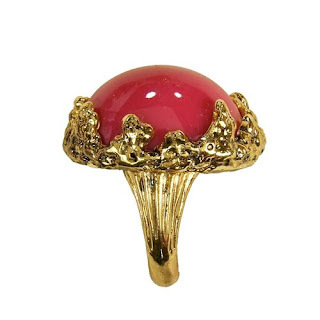 I was so honored that Olivia Palermo wore the now called 'Olivia Rose' ring and loved it! But I get proud whenever I receive feedback from supporting friends and fans who appreciate the work that I do! Do you have any future plans that you can share? My website is coming to life very soon and I am super excited about that! And on a totally different topic, I becoming a Mrs in July. The rest you will have to wait and see! 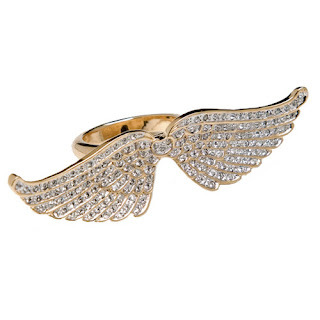 To reserve your very own 'Olivia' ring, please contact Sophie. 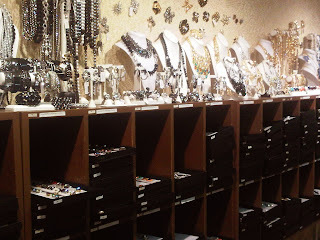 We just got back from a little visit to Kenneth Jay Lane's New York showroom. 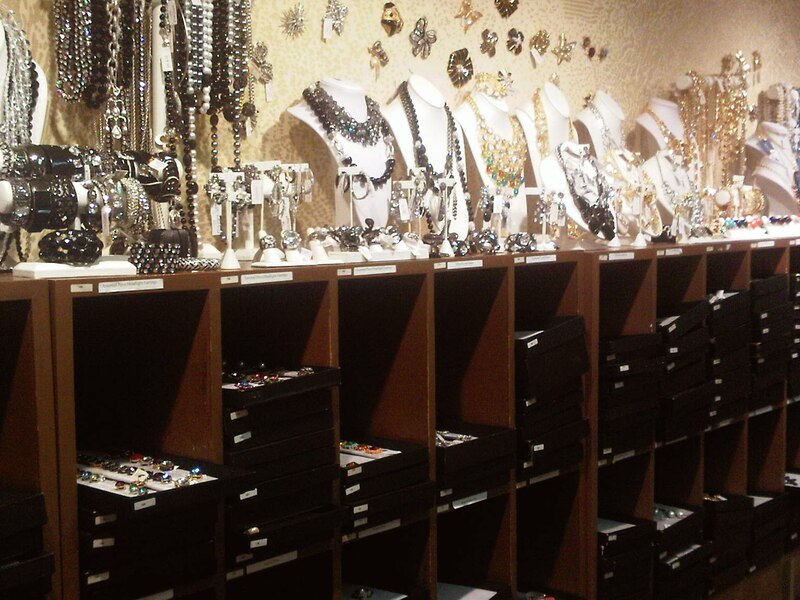 If there is jewellery heaven on Earth, this must be it. With over 30,000 pieces on display, our hearts were melting and our eyes were glistening with happiness. We are glad to report that Mr Kenneth Jay Lane works at the studio and takes time to chat with clients. We just adore him! With decades of his work on display, and each piece lovelier than the other, we couldn't resist but to make a huge order. Yes, huge! 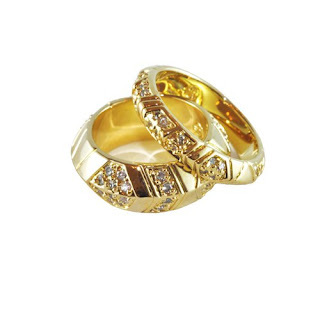 Kenneth Jay Lane is a jewellery legend and we firmly believe that every woman should own a little something by him. He was a favourite of the elegant Jacqueline Kennedy Onassis, the glamorous Elizabeth Taylor, the stylish Vogue editor Diana Vreeland and the divine Audrey Hepburn. 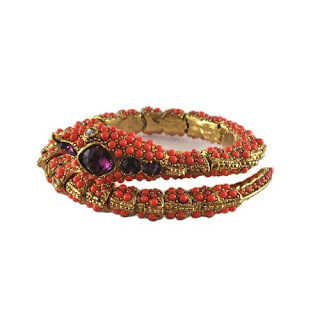 He made costume jewellery cool and his pieces are now considered by many as collectible as precious gems, with vintage pieces selling at Christie's and Sotheby's. Among his fans is our style muse Olivia Palermo. Although we have many favourites, here are some of the new pieces available at Sophie's Closet. It's time to snag one (or two or three) up! 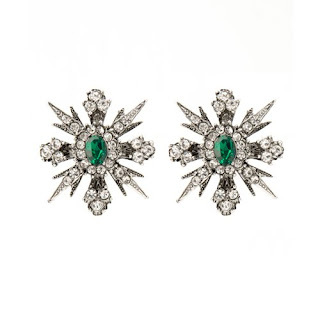 Because in Kenneth Jay Lane's words "elegance, good taste and luxury never go out of style." 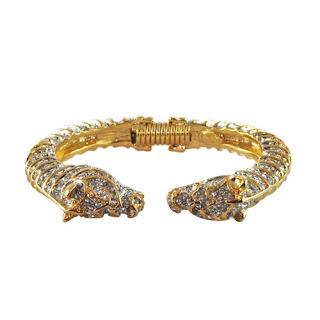 We love the "animal" bangles and glistening earrings. 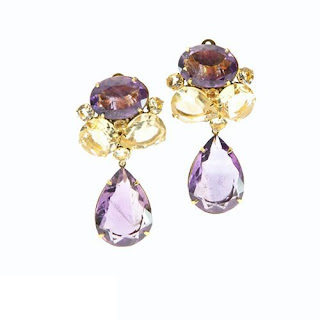 Old-school glamour, something that will carry from generation to generation. 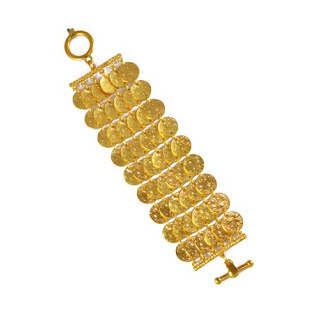 These antique-looking coins remind us of something women would have worn in the ancient times. 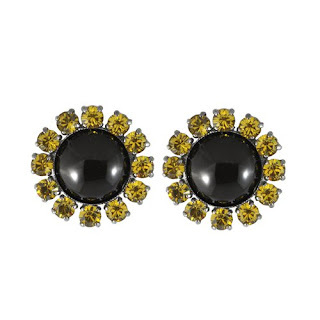 Perfect for summer, could be worn casually or formally, and we could pair them with almost anything. 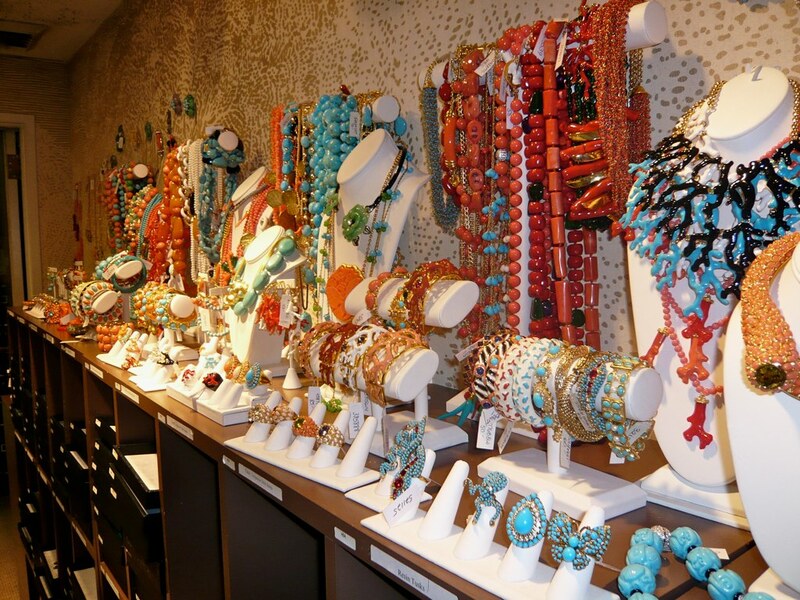 Nothing says summer like coral and turquoise. 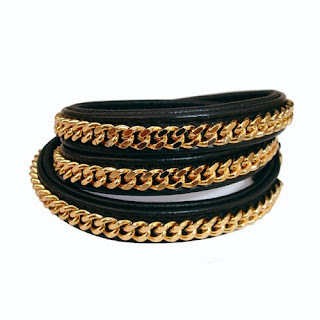 We are thinking of wearing these with something light and flow-y. 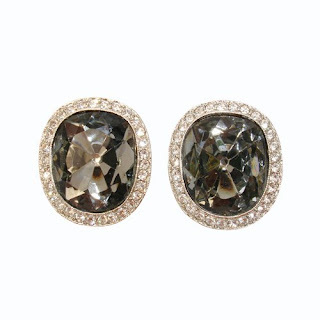 For the complete Kenneth Jay Lane selection, head over to sophiescloset.com or "friend" Sophie on Facebook.